The Irish economy is in rude health. Apart from a slowdown in the rate of employment growth over the past year, almost every indicator points to an economy that is still performing strongly. That happy state of affairs is remarkable. One might have thought that instead of spending, company executives would be cowering under desks and consumers hiding behind their stacks of tinned food for fear of what might happen in just four weeks. But there is little evidence that Brexit is causing the Irish economy to slow (and readers can rest assured that confounded subject won’t be mentioned again in today’s column). Indeed, Tuesday’s figures on pay growth across the economy showed that average earnings are surging. In real terms, pay increases are heading towards levels not seen since the height of the Celtic Tiger. That reflects more and more employers having to hike pay to retain talent and hire new people. This is a thoroughly good news story for workers. It could be less good from an economy-wide perspective if it suggested that the economy looked to be about to blow a gasket. But it isn’t. Ireland had the fifth-lowest rate of inflation among the EU 28 last month. There is as yet little sign of the sort of wage-price spiral that could end in boom turning to bust. Yesterday, Eurocrats in Brussels published their latest findings on each of the bloc’s 28 economies and how governments across Europe are reforming their economies. As always, their outside-in look at the situation here made for interesting reading. The multi-national team of European Commission economists usually brings some fresh perspectives. They can also reinforce the criticisms that local dismalists may make of economic management failings. The report did not make flattering reading for the government. Since emerging from bailout in 2014 Ireland has implemented in full just 5pc of the “country-specific recommendations” for reform that have been slated for introduction. That does not compare well with the sort of open, fiscally prudent northern European countries with which Ireland has increasingly aligned itself. The Dutch, albeit over a longer timeframe since 2011, have fully implemented 28pc of their recommended reforms and the Danes 23pc. These countries know they can’t rest on their laurels. They use the good times to prepare for the bad, driving through reforms. 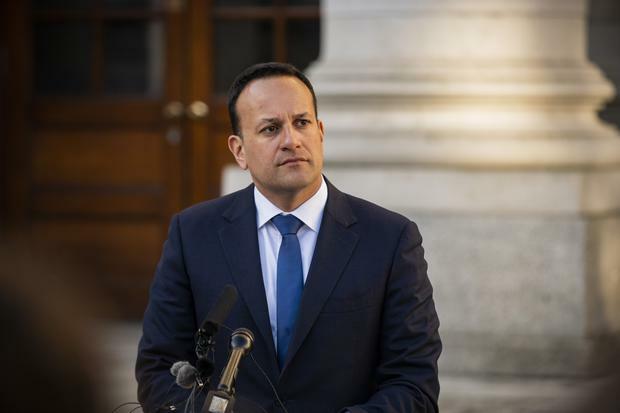 The Irish political system slumps back to sleep at the wheel as soon as a crisis passes. Among the opening remarks in the report was: “Further reducing Government debt could increase the economy’s capacity to adjust to external shocks.” This is a polite way of saying that there is no gas in the tank if any of the numerous and serious international risks materialise that could cause the economy to slump. Despite all the talk about learning the lessons of the past, this Government has given up preparing the public finances for a future that is less rosy than the present. Nor has it learnt the lesson of not depending on tax revenues that could dry up quickly. Again, this was mentioned in the very opening paragraph of yesterday’s report from Brussels. It was referring, of course, to the ever-growing dependence of the Irish exchequer on revenues from profit taxes. Last year, companies paid more than €10bn on the profits they recorded in this jurisdiction. That was more than ever before in cash terms. It was more than ever before as a share of total government revenues. It was substantially more than the mandarins of Merrion Street expected to collect, and last year’s underestimation by officials followed a pattern that has been in existence for half a decade. It is often said, quite correctly, that there is uncertainty about the source of these revenues. It is well known that a mere handful of multinationals have been hosing the exchequer with corporation tax receipts in recent years. There is justifiable fretting about one or more of these globalised companies suddenly shifting profits elsewhere. But what is less discussed is how profits are always very volatile over the economic cycle. When economies slow, the aggregate profitability of all companies falls much more than most other economic indicators. That means the governments’ corporation tax revenues usually fall much more than other sources of revenue, such as income tax and Vat, when economies slow or go into recession. Despite all of this being perfectly well understood by the Government and its officials, the current administration has not treated the huge windfall gains from companies as windfall gains. Rather, it is using them to fund additional public sector pay increases and healthcare overruns. If this all ends in the tears of fresh austerity, nobody can say that they weren’t warned. Any discussion of the risks to corporation tax receipts in the future needs to be balanced by an acknowledgement of the enormous contribution multinational companies play in this economy, in terms of taxes, employment and exports. But even this is not without its own partial downside. Yesterday’s report noted that the ability of multinationals to pay so well means they often get the best people. “The resulting lack of qualified employees and skilled managers in small and medium-sized enterprises reduces their innovation capacity and competitiveness,” it stated. I would be very careful about attributing under-performances in indigenous businesses to a “crowding out” effect by the multinationals, but it is an interesting point and one not made often in the debate in Ireland. An unquestionable problem for businesses of all kinds is the high cost and lack of competition in legal services. The European Commission has bitter experience of the power of the lawyerly class to thwart reform, having largely failed to open up that cosseted sector even when it was calling the shots here during the bailout. “The introduction of multidisciplinary practices, direct professional access to barristers, as well as the much-needed easing of advertising restrictions are also important steps of the planned reform but they have no firm schedule for commencement,” the commission said yesterday, adding that these much needed reforms “are likely to face significant delays”. To conclude on some of the more upbeat analysis. The study finds that Ireland is performing well on “employment, early school leaving and tertiary education targets and the effectiveness of social assistance in reducing poverty”. It also praised the ending of some tax breaks and the broadening of the tax base, with the scrapping of the preferential value-added-tax rate on tourism activities getting particularly warm praise. But it added: “However, some 2019 Budget measures actually go in the other direction.” Two steps forward and one step back would be a more than fair assessment of the current Government’s overall reform performance.